There’s more than one way to inhibit PCSK9, the enzyme involved in the liver's uptake of cholesterol and a target for researchers looking at way to reduce LDL cholesterol. 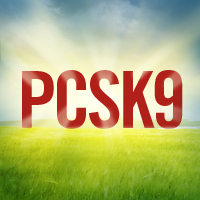 Reporting today at the American Heart Association’s Scientific Sessions in New Orleans, Ray Kausik, MD, a professor of public health at Imperial College, London, UK said his study showed that their product PCSKsi (Inclisiran/Anylam Pharmaceuticals and The Medicines Company) worked through “RNA interference” to block the genes which regulate PCSK9 production in the liver. Other PCSK9 inhibitors work through injections of monoclonal antibodies that work outside the liver cells .Inclisiran is a synthetic double stranded oligonucleotide that gets inside the hepatic cells. The monoclonal antibody drugs are effective, at least so far, but “Cost and dosing have room for improvement,” Ray said. They cost about $14,000 a year and many insurers will not cover them. The hope is that Inclisiran injections could be administered only every three or six months, he said, vs. the current PCSK9 drugs’ two-to-four week injection schedule. In a study called ORION 1, 501 patients in the UK and other countries were randomized in a Phase 2 double blind placebo trial to six doses of the interference RNA drug. The average age was 63, nearly 65% were men, 48.1% had atherosclerotic cardiovascular disease, and 14.2% had diabetes. Most sof the patients were taking statins. About 38% were primary prevention patients and the rest had familial hypercholesterolemia (FH). Reductions in PCSK9 and LDL cholesterol were maintained at day 180 with little variation over the 6-month period for doses ≥300 mg. He also pointed out that it is far too soon to see if there are any longterm serious side effect or adverse events. “Will we see neurocognitive effects, myalgia, or some other effect we haven’t seen?” he asked. A larger Phase 3 trial is likely to provide the answers.